Most people have heard of Oxford even if they haven’t been there. Best known around the world as having one of the oldest and most prestigious universities in the world. In more recent times it is possibly more well-known for some of the Harry Potter filming locations. Regardless of why or how you know about Oxford, I can assure you that there is more than you realise to this Oxfordshire town. Some of it dates back to the Saxon times of the 10th century. In more recent times though, Oxford has come to be one of the most ethnically diverse cities in England which of course means great food! I’ll get back to more of that later on. 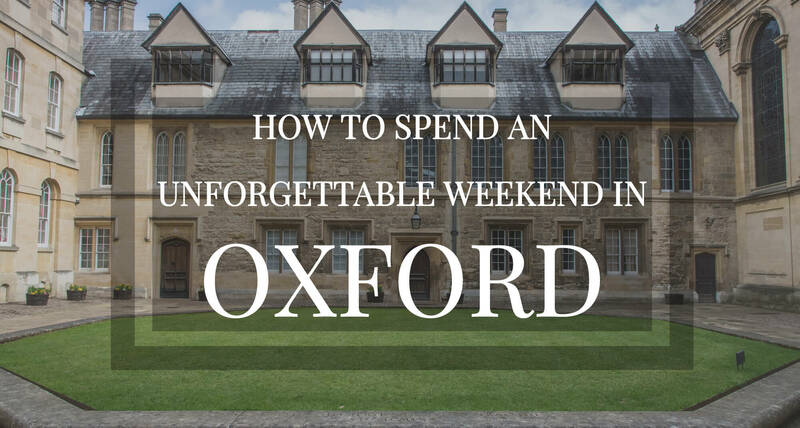 In all honesty, you probably need more than a weekend to explore Oxford and its surrounding areas but I will give you some highlights that we experienced on our recent trip to this gorgeous university town. First of all, lets start with where to stay. During our time in Oxford we had our very first experience with Airbnb and boy did Melanie set a high standard! We had a private double room in her and her husband’s house with a shared bathroom with other guests. The bed was unbelievably comfortable but what was even more impressive was the breakfast! I don’t think I have had a more delicious breakfast, EVER! 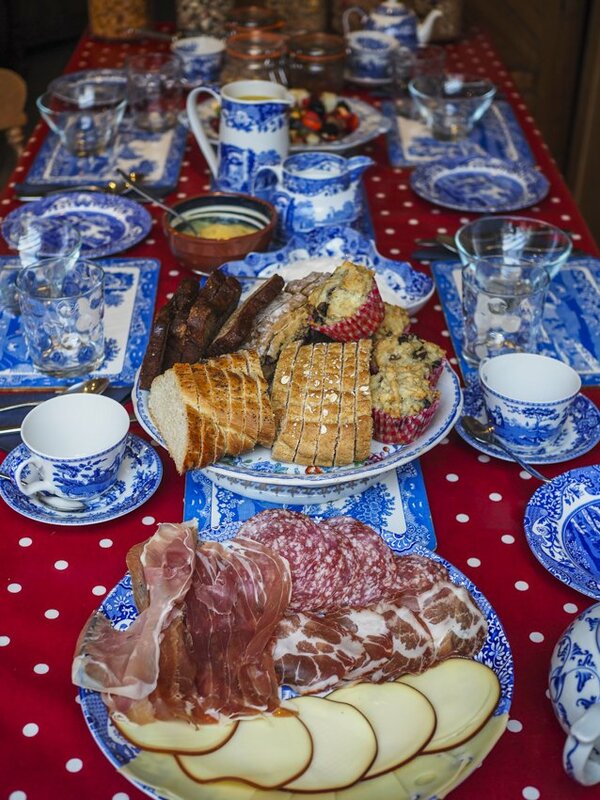 It consisted of homemade lemon and passionfruit curd, home-made almond butter, a selection of homemade breads, homemade granola as well as a wide selection of other cereals, a delicious fruit salad, yoghurt and a number of jams (that were of course home-made), fruit juice, tea and coffee. It was visually appealing let alone tasting absolutely amazing. Their house was located a little outside of the city centre but was an easy bike or bus ride into town. If you had time, it is definitely walkable. We had hired a car so there wasn’t a problem and we managed to find parking near the house easily. After that, time to talk about how to get there. To get to Oxford from everywhere in the world you only have to fly into any of the airports serving the greater London area. 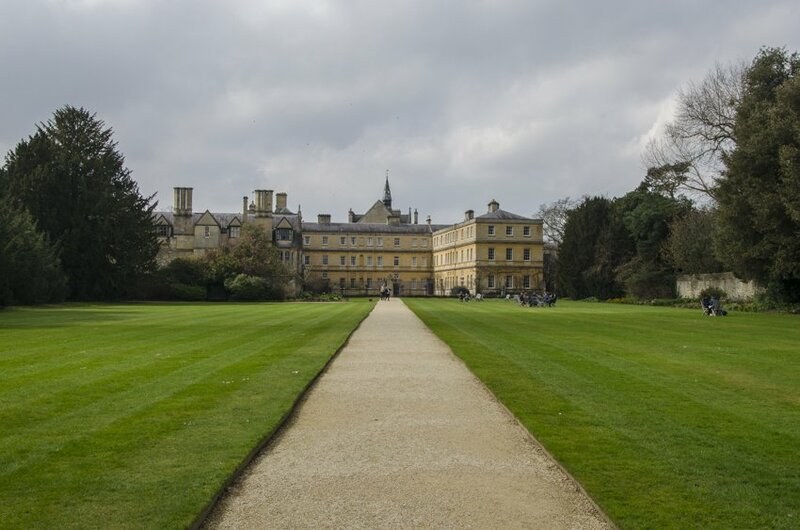 Getting to Oxford from London is super easy, there is a direct bus that leaves from Heathrow around every thirty minutes or a direct train leaving from Paddington station in London. There is also a bus leaving from Gatwick airport. Both the bus and train station are easily accessible to the centre of town. Once there, you can start enjoying your weekend as we did. On our first day, after getting settled in our room we headed to a pub called The Perch (Binsey Lane) for lunch, a recommendation from some friends of ours back in Munich. This is a short drive from the centre of Oxford but well worth a visit. Be aware, it can be hard to find parking on a sunny day, like the day we visited, however we still managed to park on the side of the small country lane leading up to the pub. This traditional thatched roof pub is the epitome of English pubs. There has been a pub on the same site for over 800 years. The rustic building on its own is impressive enough but its location in a meadow by a waterway makes this pub ooze charm. 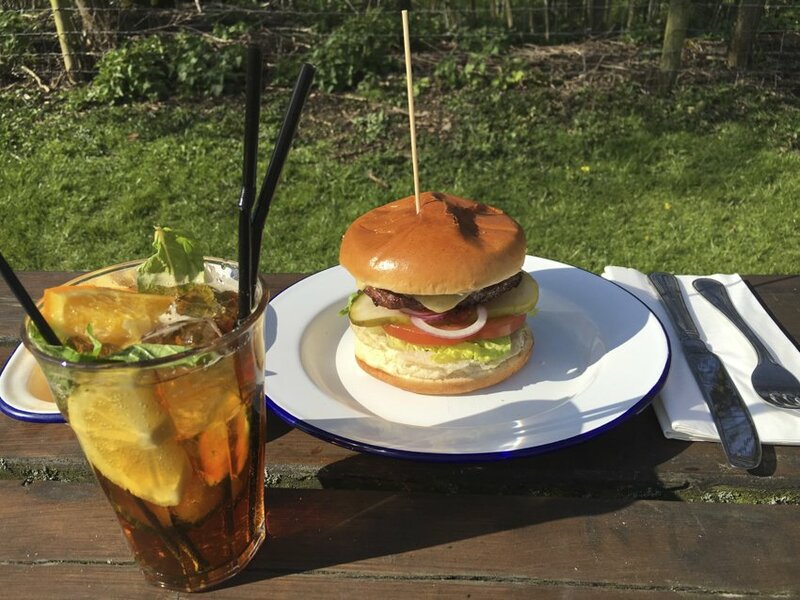 The garden out the back is the best place to eat if the sun is shining. The food is traditional pub fare with a sophisticated twist and is delicious. You can also go punting (kind of like a gondola but the boat is flat) along the nearby river. After our bellies were full we headed off to the surrounding area known as The Cotswolds. 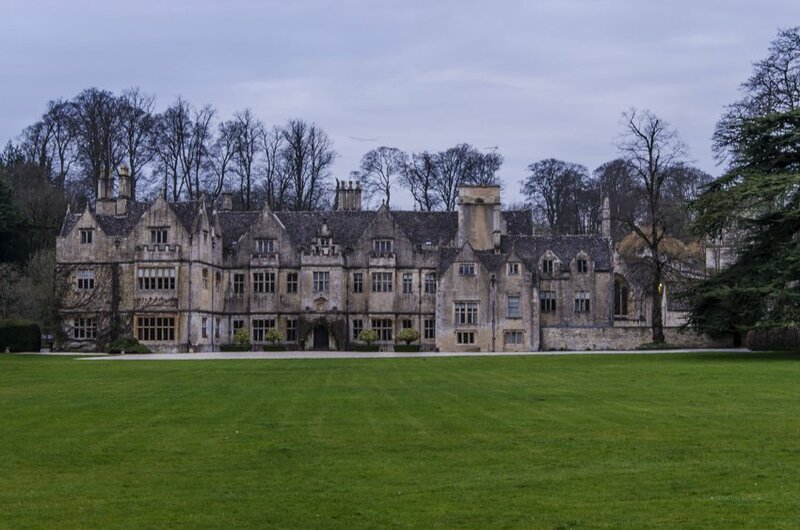 The Cotswolds is a region spread across five counties between Oxford and Bristol (Gloucestershire, Oxfordshire, Warwickshire, Wiltshire and Worcestershire) that contains many picturesque, quintessential villages each offering different attractions. There are so many that you could spend weeks exploring this area alone! I would recommend that you pick a number to visit depending on what you want to see and how much time you want to spend. 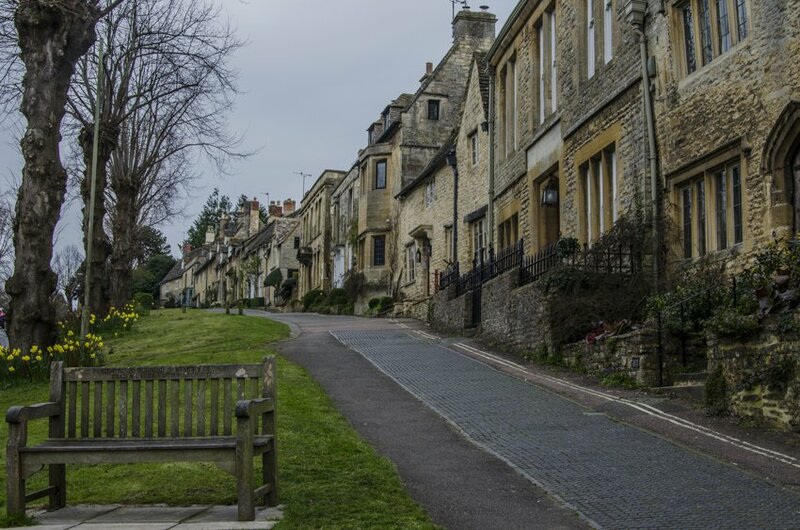 We chose Woodstock (no, not the 1970’s festival in USA), Chipping Norton, Burford and Bibury thanks to the guy’s recommendations at the car rental place, and the fact that we only had half a day to explore. There are so many more places we would have loved to see with more time! 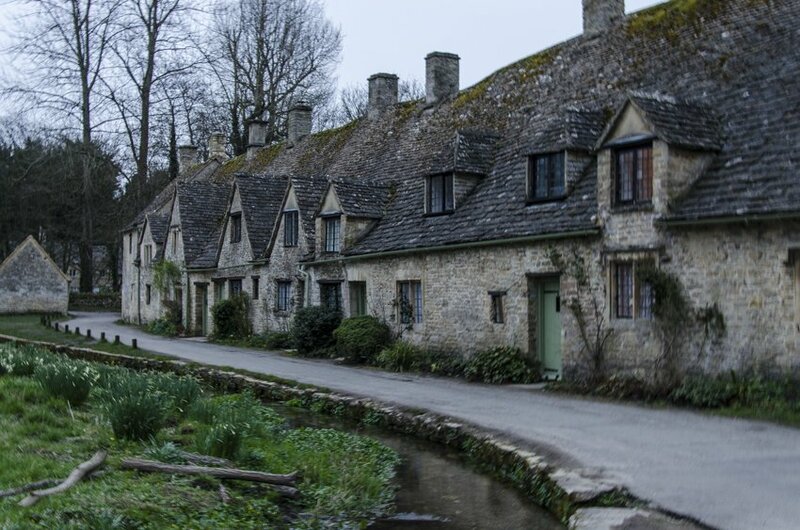 So go ahead and comment and let us know your preferred sights in the Cotswolds! More on the Cotswolds in an upcoming post so stay tuned! 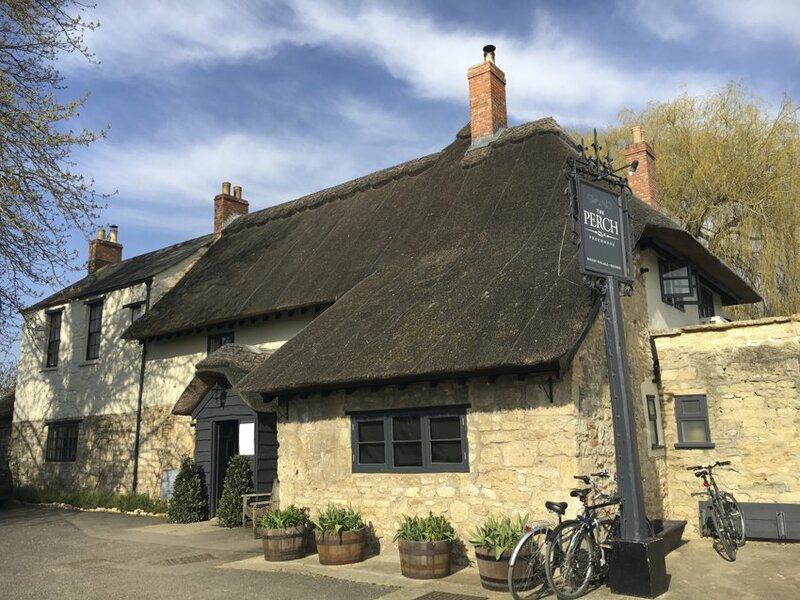 After our little adventure in the English countryside we arrived back in Oxford in time for dinner and wanted to go to a pub near our accommodation that was recommended by our hosts, The Anchor (2 Hayfield Road), but unfortunately it was booked out. The food is meant to be fantastic which was reinforced by the lack of tables available on a Saturday night. Maybe you’re more lucky than us and get to try the fare of this pub! Not to be disheartened we made a short trip up the road to the trendy area in Oxford, called Jericho. This area was once a red light district but is now a hip restaurant and cafe scene. There are plenty of possibilities from all around the world. We decided on The Jericho Cafe (112 Walton Street) which is a good place to meet up for a drink or cake and coffee or to stop in for a light snack as we did. Before David and I started our trip in Oxford I had been there the week before for work and had frequented Jericho a number of times before. 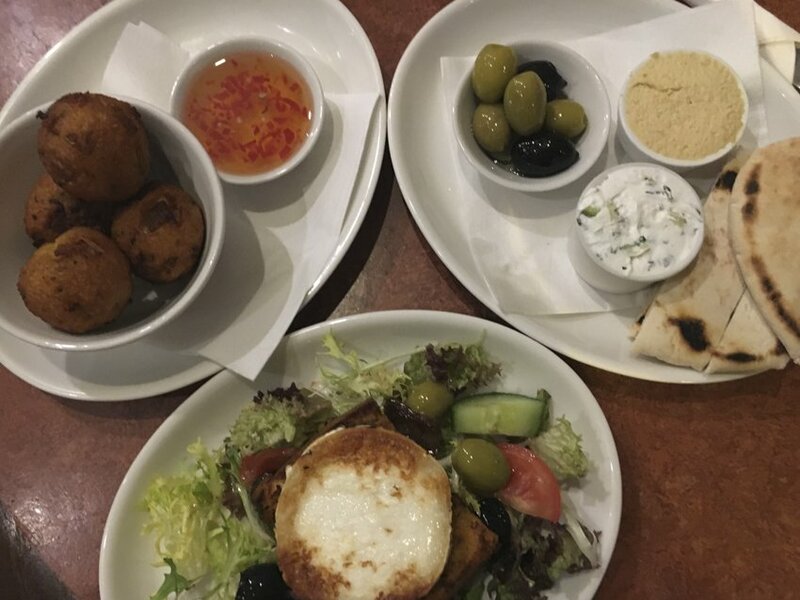 I would also recommend Mezzetto ( 67 Walton Street, a tapas restaurant serving mixed dishes from around the world), as well as Mamma Mia Jericho (102 Walton Street, an Italian restaurant that does a great pizza). If you’re still up for it, after dinner you might be interested to explore the endless clubbing options around the area too. For us, that was enough for the day and headed back to the comfort of our cosy home in Oxford. After a good rest and the the famous Melanie’s breakfast, we dedicated Sunday to walking around the city centre of Oxford. 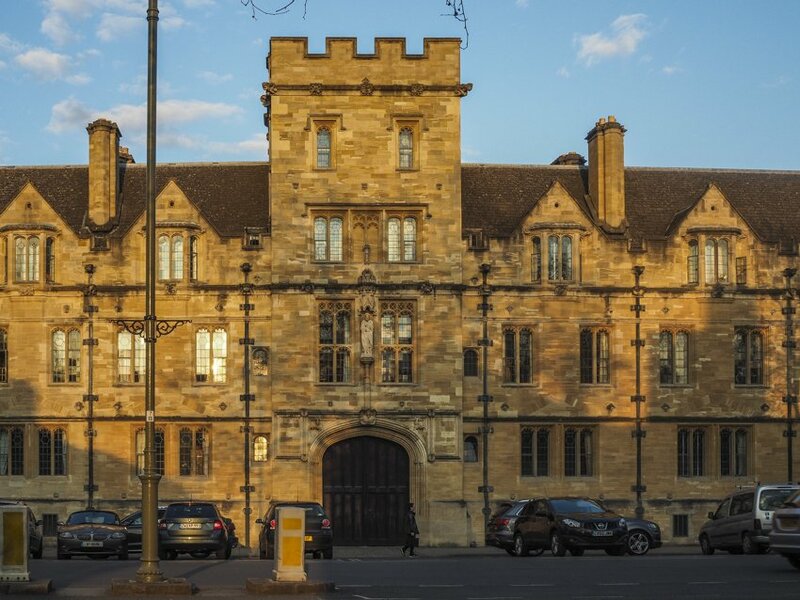 Even though Oxford is not a huge town it certainly warrants at least two days to wandering the streets, visiting all the sites it has to offer and revelling in the abundance of fantastic cafes and restaurants. Oxford University is obviously the central focus of any walking tour so be sure to visit at least some of the colleges. Some are free and others (the more popular ones) require a small entrance fee. 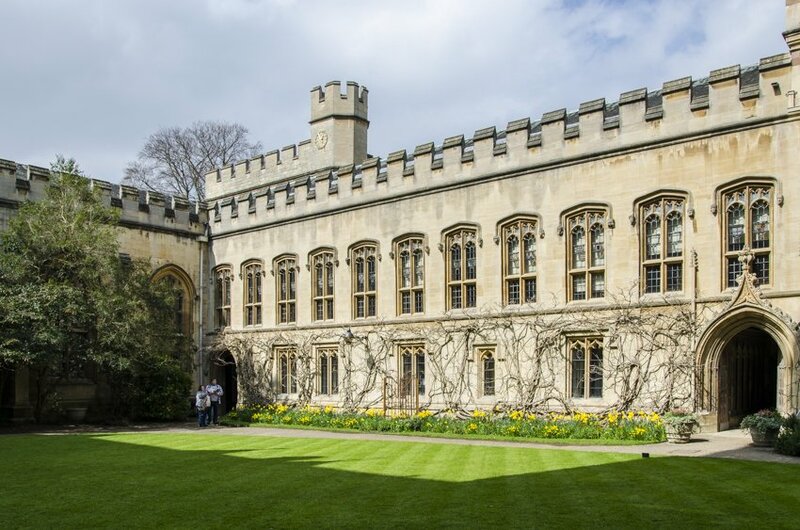 We went to Trinity College (Broad St, 1 GBP) and Balliol College (Oxford, OX1 3BJ, 2 GBP) but ran out of time to visit others that we would have liked to go inside. 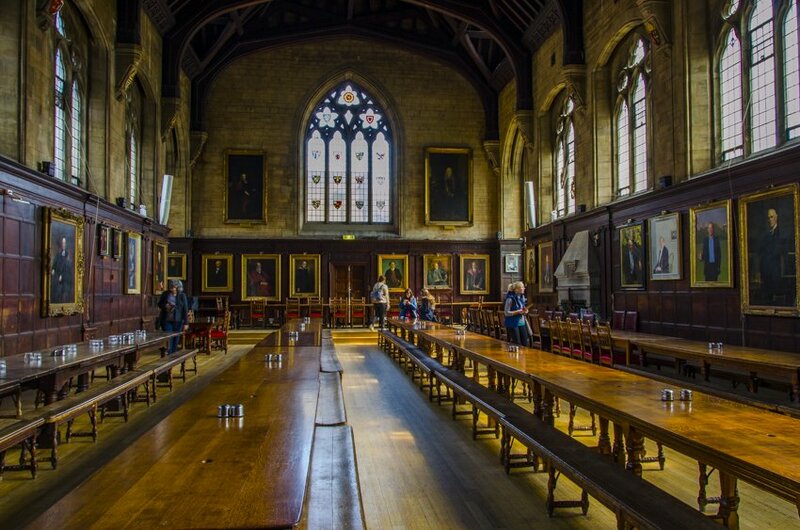 In some of the colleges you are even allowed access to the dining halls and chapels, like in Balliol, for a more immersed experience. 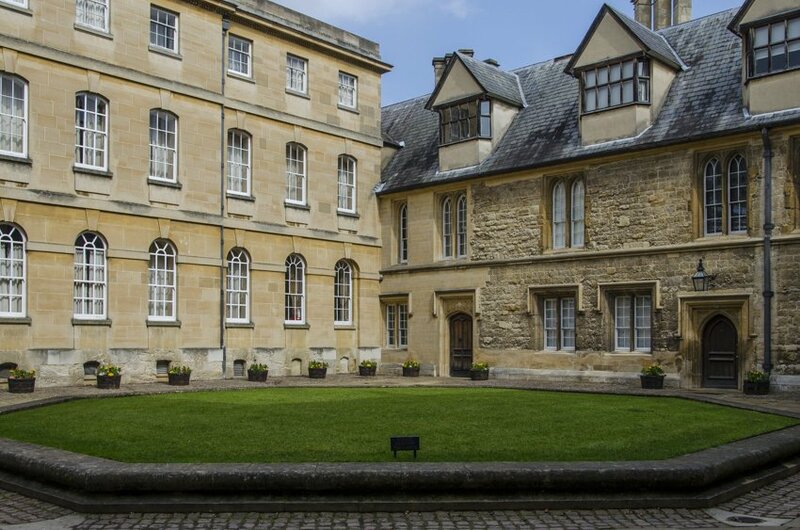 Besides the university and colleges, Oxford has a strong literary history too. Of course for Harry Potter fans you will want to visit many of the film sets around town. For that, Brooke of World of Wanderlust has a great post here. For Lewis Carroll fans (he was in fact a student of Oxford) you can visit Christ Church (St Aldate’s), the inspiration of Alice in Wonderland. There are walking tours catered to these niches as well as a plethora of other themes. You can check them out here, here and here. Other favoured attractions include University Church of St Mary the Virgin (High St), some say it is one of the most beautiful churches in all of England. We can also recommend The Vault cafe, in the grounds of the church but be warned, it gets really busy. The Bodleian library (Broad St) is one of the oldest libraries in Europe, with over 12 million items (cost varies depending on what you want to see). That’s a lot of books! 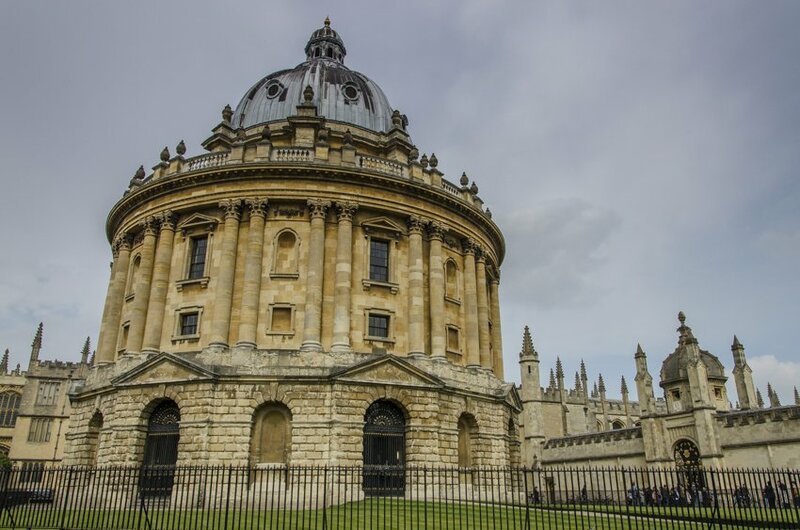 The Radcliffe Camera (Radcliffe Sq), which houses the Radcliffe Science library, can only be visited as part of a Bodleian tour. 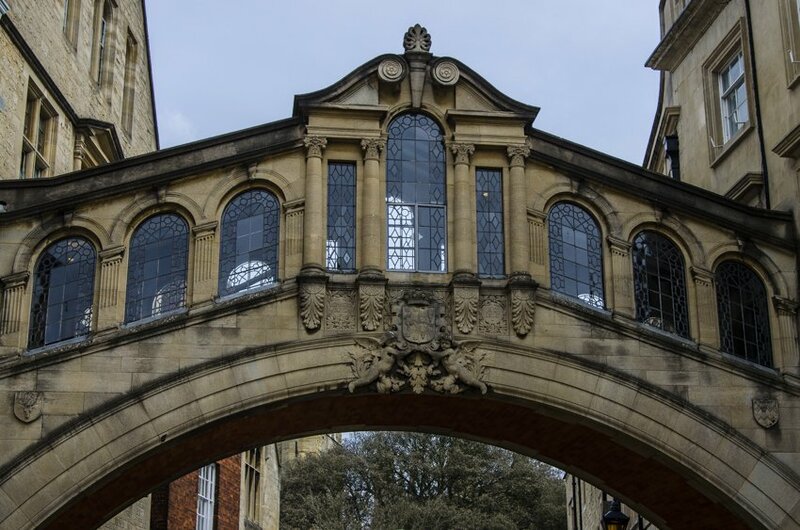 Nearby is the Sheldonian Theatre (Broad St, 2.50 GBP) and the Bridge of Sighs, at Hertford College – which is a copy of the one in Venice. 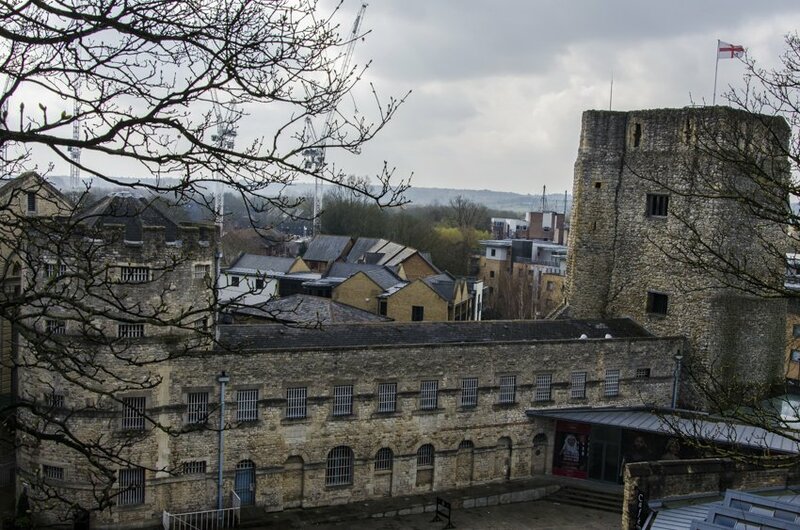 But don’t be fooled, Oxford also has a history pre-university days as is indicated by the Oxford Castle (44 New Rd) built by William the Conqueror in 1071. This construction was mainly built to house prisoners and it’s well worth a visit (1 GBP to climb the mound called St George’s Tower or 10.75 GBP to visit the castle). 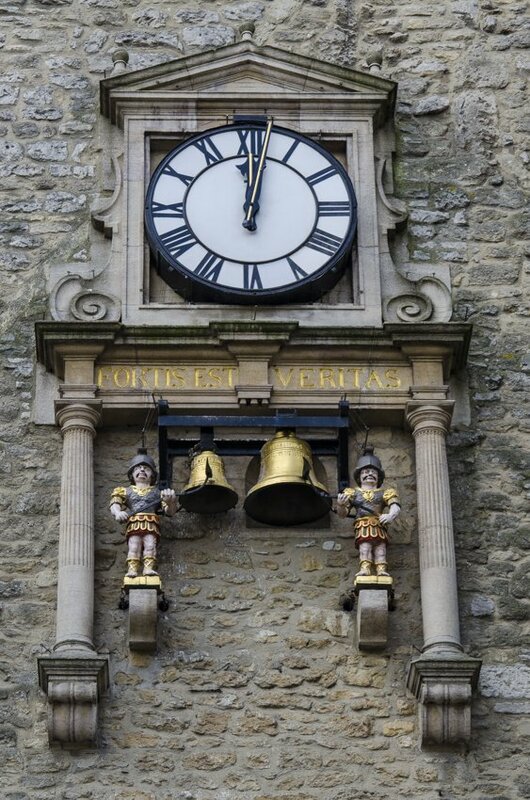 If you want more insights into the history of Oxford, visit the Carfax Tower (Queen St, 2.20 GBP to climb up 13th century the tower) which is all that remains of St Martin’s Church. 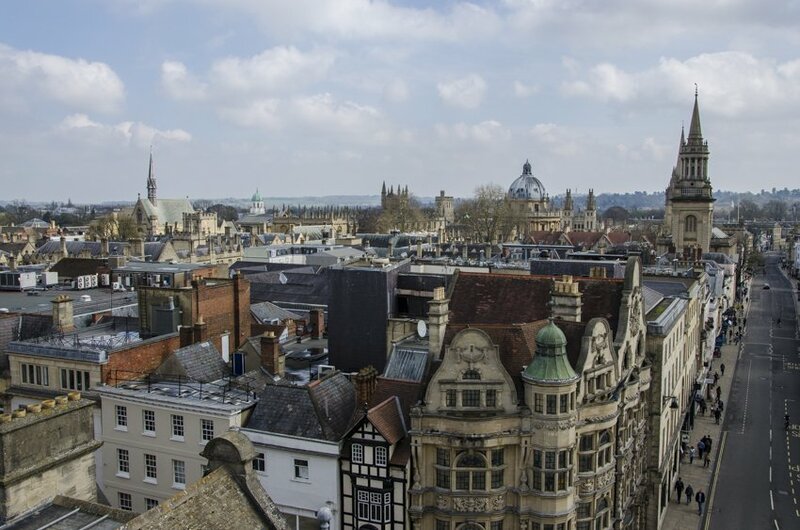 It is worth the climb to obtain some incredible spire-filled views of Oxford. To see all that in a day we followed the Oxford walking tour mentioned here. With all this walking around and sight seeing you will no doubt get hungry. You won’t have any problems finding a place to whet your appetite. 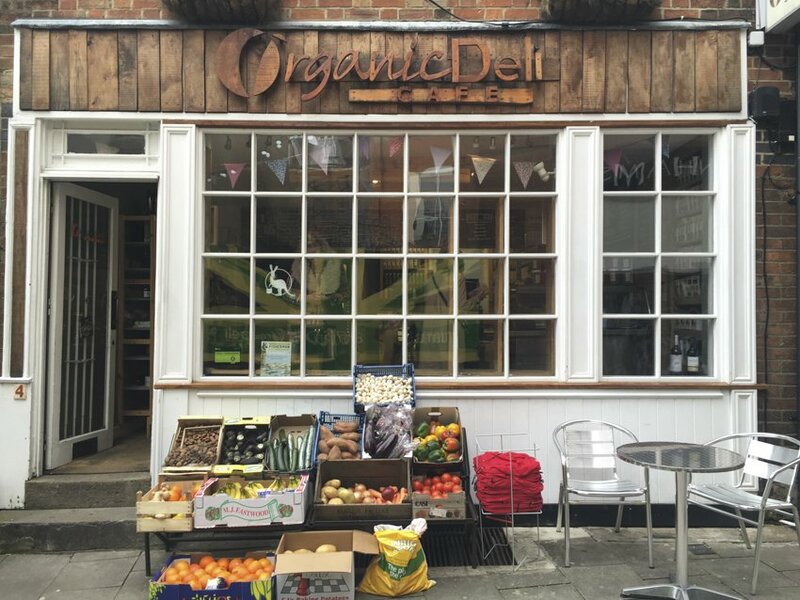 We would recommend The Organic Deli (24, Friars Entry) which, as the name implies, use organic produce in all their dishes. Taylor’s Deli (any of their shops) is also a good place to pick up a quick snack. We were lucky with the weather when visiting Oxford and the sun shone brightly during most of our stay but it is England after all, and we all know how volatile the weather can be even at the height of summer. Luckily, if the weather doesn’t make it appealing to wander around the streets of Oxford there are plenty of museums to visit, with the Ashmolean (Beaumont St) being the centrepiece. It contains everything from Egyptian artefacts to modern art, so it should please everyone. To end up with, a very practical tip. If at the beginning or at the end of your stay you need to leave your luggage somewhere near the train or bus stations while you wander around, the guys at the Oxford Backpacker’s Hostel (9a Hythe Bridge Street) will hold it for you at a very reasonable price. 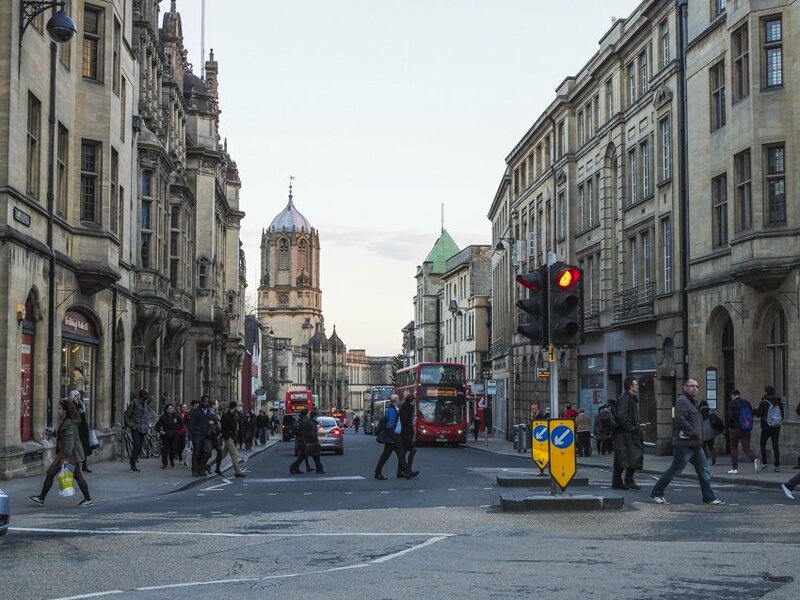 If you prefer your bags to be held closer to the city centre, a better option is the Oxford Visitor’s Information Center (15-16 Broad Street). 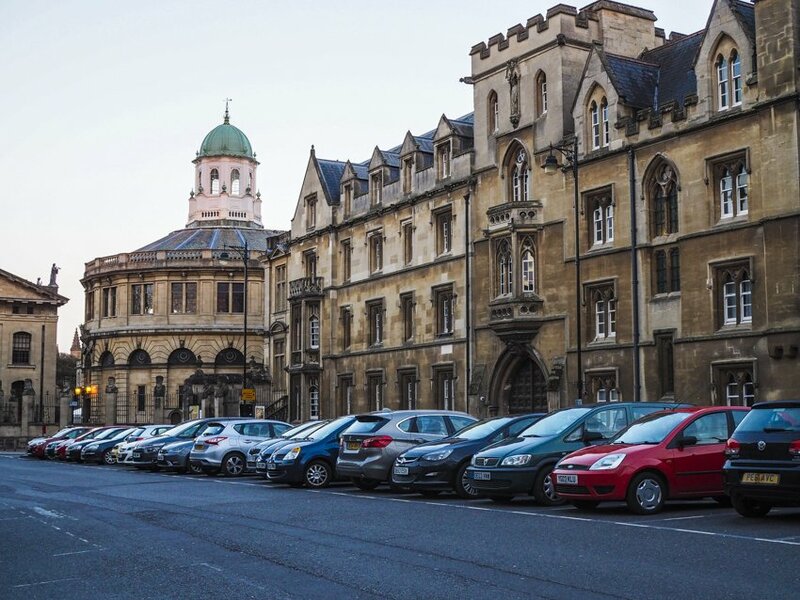 Whether you visit Oxford as a day trip from London or make a week long holiday there, you will not be disappointed with what it has to offer. Have you been to Oxford? Do you have any more recommendations to add? Do you have any questions about Oxford? Drop us a line in the comments, we would love to know! How we got there: By plane landing at Heathrow Airport. All airports that serve London offer international flights to and from basically everywhere in the world. From there we used The Airline to reach Oxford and back. Where we stayed: In Oxford we had our first Airbnb experience. We stayed with Melanie who set a very high standard! Enjoy typical pub fare at The Perch or any pub that would come in our way, really. 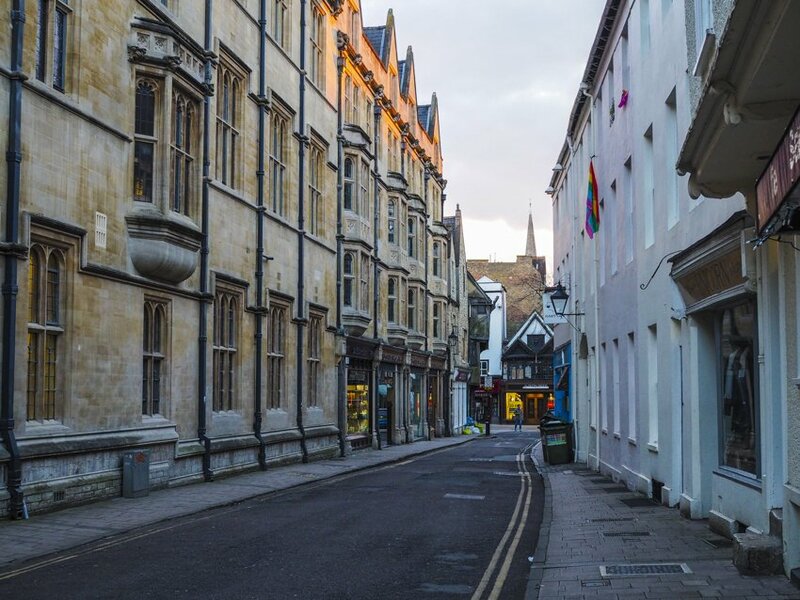 Go mingle with the party crowd in Oxford’s most trendy area, Jericho, or at least go see the crowd pass by while having a tea and cake or dinner in any of the cafes or restaurants in the area. 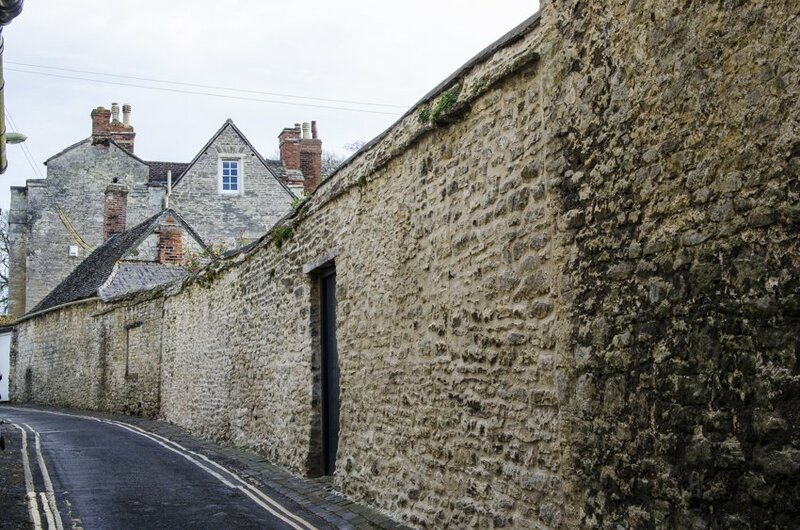 Wander around Oxford city centre and infuse in the pre-university history of the town at Oxford Castle or Carfax Tower. Our trip to Oxford was privately funded by us. All opinions are our own, as always.